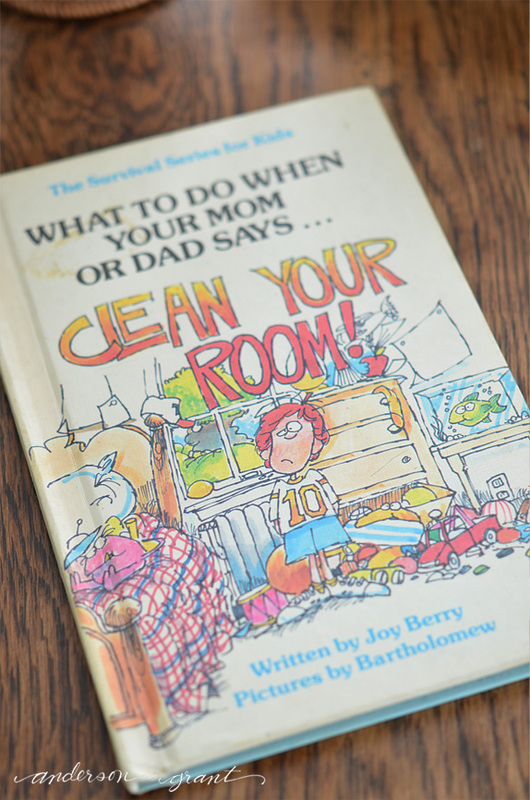 The book is "What to Do When You Mom or Dad Says...Clean Your Room!" by Joy Berry (affiliate link). While I remember it being purchased at yard sale, I don't remember if it was something I wanted or something my parents thought I should have. Although, now that I say that I realize my mom always says that I wasn't the type of kid who liked books being picked out for me. I guess it must have been my choice. 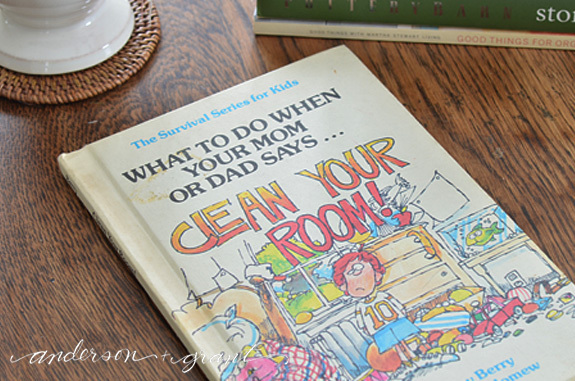 Either way, this book seriously was the inspiration I needed for keeping my room clean.....not that it probably ever was at the time. But the foundation was laid for a neat space later in life! Having an instructional manual made cleaning my room a bit more fun. 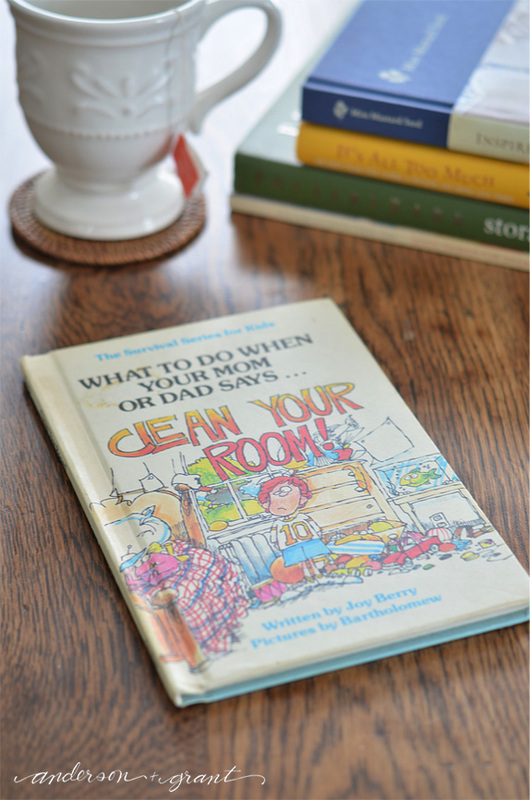 "If you follow the instructions outlined in this book, you will be able to clean any bedroom no matter how dirty or messy it is." Isn't that what we all want from the best organizing books? How to properly make a bed, complete with hospital corners. 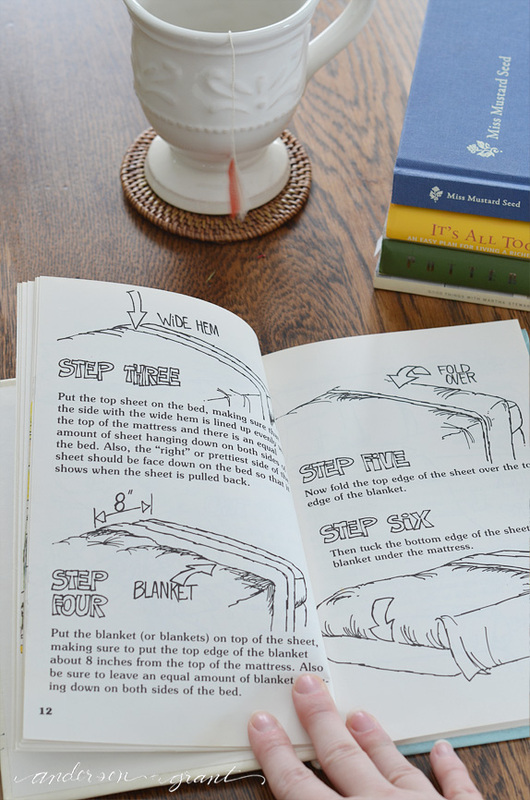 The method for getting everything up off the floor and neatly put away in a room. How best to fold or hang different types of clothing. How to organize so that everything has a place. What to do with your keep, toss, and recycle piles after you're done organizing. 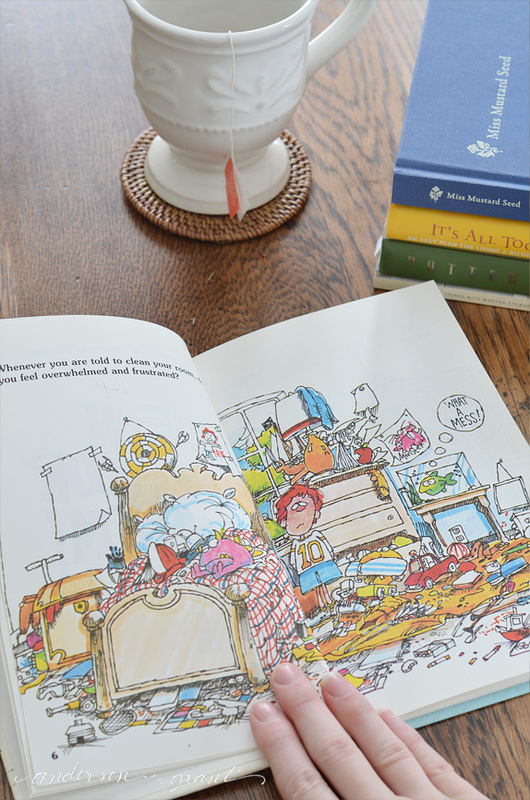 And how doing all this will bring the end to your messy room (and unhappy parents). All pretty useful information regardless of your age. 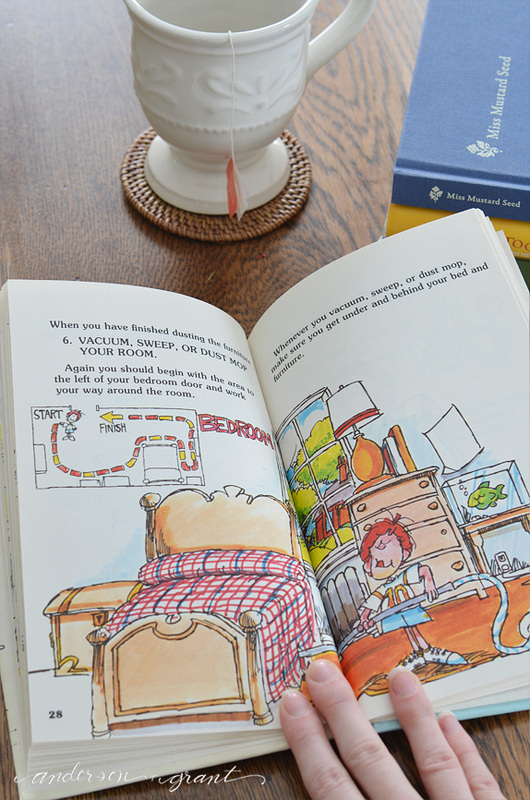 It is actually just as enjoyable as an adult to look back through this bright and humorous book as it was when I was a kid. Ahh...memories! I give this book two thumbs up and recommend it to any of you out there who think you might have children who need a little organizing inspiration. It may even inspire you! Used copies can be found on Amazon (affiliate link) or Ebay. Did you ever have this book when you were a kid?